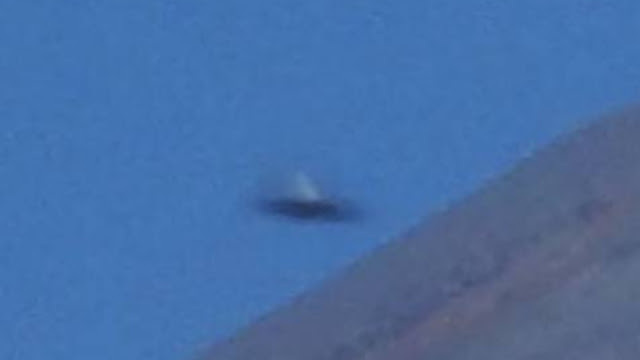 This is a UFO flying past a Virgin Galactic jet plane recorded by an eye witness on the ground. Firstly, it doesn't mean that videoing a UFO from a plane is anything to do with Aliens, right. Real UFO sightings are very much related to Aliens, because that's how UFOs came into existence. The term UFO is inherently associated to Aliens and it always will be this way. But since then the military and the government and other "authorities" not to mention private and many Dr No's (that's a 007 reference) have all gotten in on the act and are probably stroking a white cat as we speak, typing actually. Anyways, their putting vast and I mean vast amounts maybe even oceans of cold, hard cash into researching and developing UFOs and even tracking them. Jets are encountering UFOs more than you will ever know. 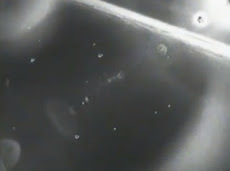 Three UFO Light Orbs videoed from a jet plane by an eye witness filming the UFOs out of the plane window. The government could be using the "Unidentified Flying Object" term to serve themselves and as a cover story. 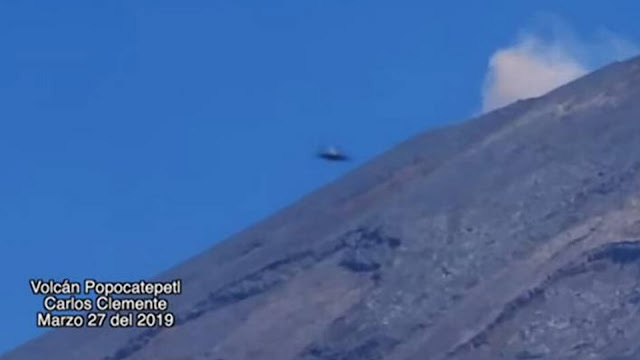 Anyone who sees a real top secret government craft and then puts it on YouTube, well, it will more than likely be titled or posted under the term "UFO". That's definitely the public doing the government a solid and giving them a cover story and turning this mysterious Alien craft into a real Unidentified Flying Object. That serves the government, why put out a cover story when the public can cover it up for you? 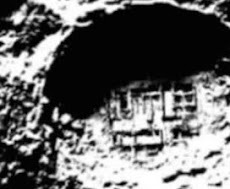 Obviously unknowingly and unwittingly as a UFO etc over such and such place. 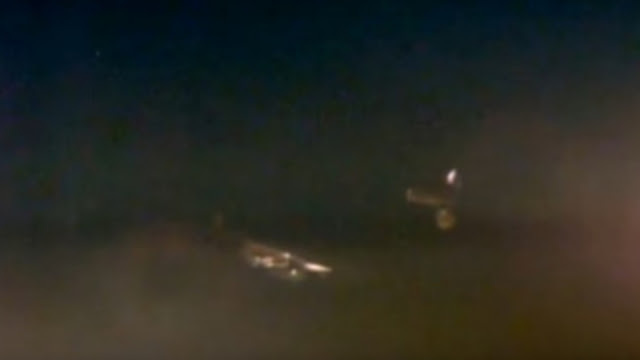 Like these UFOs flying really close to jets and enough to be videoed from a jet. 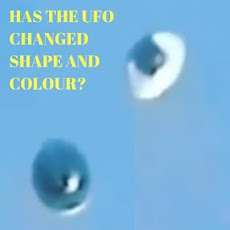 The public is helping to cover up a UFO and that serves the "proper authorities" no end and without any comebacks! 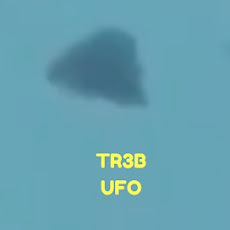 Thousands of pilots have seen real UFOs and the number is growing every single day. Pilots are professional observers and advanced identifiers of aerial objects which comes natural to many of these experts. But however, if you think the number of pilots seeing UFOs is high, you should see the information related to pilots who haven't come forward about seeing a UFO. To come forward as a pilot and say that you witnessed a UFO or a bright light etc is tantamount to a career death sentence. Source Intmensorg.info UFO's And Aliens. As NASA is more concerned with talking to one of the astronauts, a UFO is literally sneaking up from the far off distance atmosphere and is starting to come into our field of view. This is really good news for us, but it's probably really bad news indeed for this poor guy who it would seem, is not noticing at all the Unidentified Flying saucer rising up from the Earth like a Phoenix rising into the sky. Okay, that paragraph header sounds a wee bit poignant and dramatic but hey, why not? 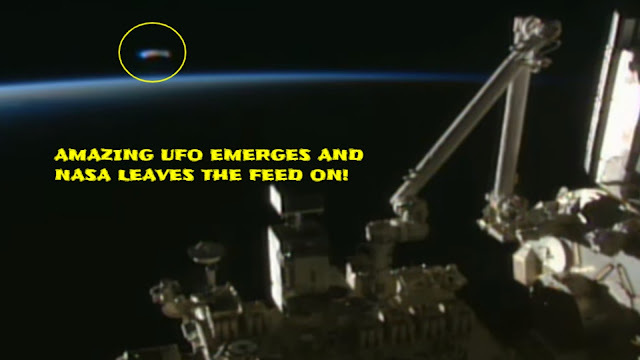 It's a very rare moment in time for the public to get to see a full piece of UFO footage from NASA's International Space Station (ISS) live feed. Why, because NASA always have someone ready to cut the live feed when a UFO shows up. In fact, I think we've just found out who the "person is"
It's got to be this NASA guy talking to the astronaut, right? NASA has dropped a massive ball: Is someone getting a demotion, possibly demoted to the "the office coffee guy" maybe even the guy who runs to the dry cleaners to grab your mom's dress and get the "real NASA scientists some doughnuts". 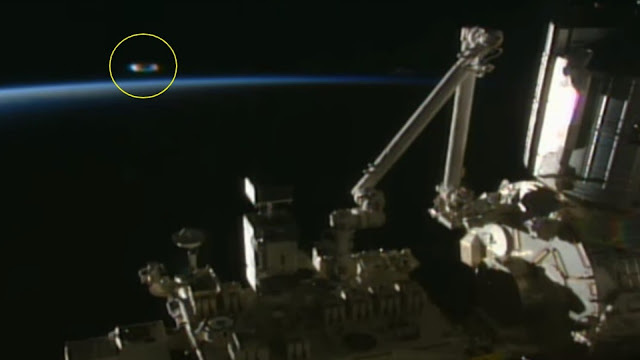 We don't really know what's going on in this NASA video of a UFO, but the Sun is rising at the right time to reflect off the UFO and that's why we can see this amazing UFO in the video. Otherwise if the Sun wasn't rising right then, we would probably be just looking at a black screen and wouldn't even be able to see or notice it. Thanks for stopping by and guys, please leave us a comment here on this post and let us know what you think is happening in this video? It would be great to know what you think, so if you can leave us a comment that would be great. We always read them no matter what, thank you. 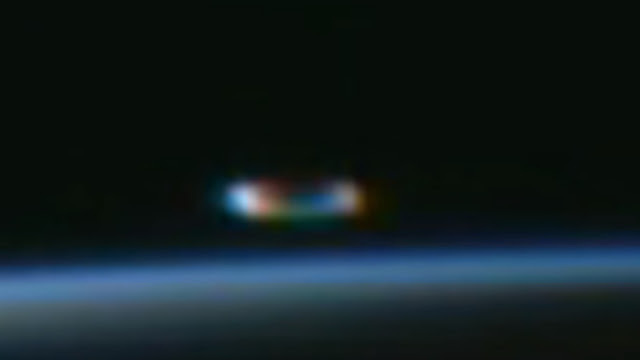 Source NASA Live Feed Of The ISS Via UStream. Remember not long ago when Gatwick airport was shut down immediately and all of a sudden without any reason? But then the authorities said it was because drones had been flown over the airport and endangering the lives of plane passengers. 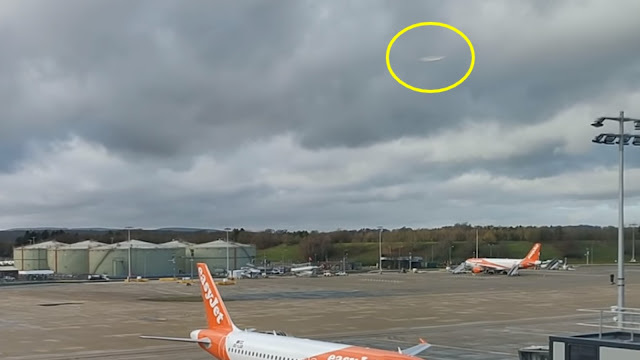 Well, viewers on YouTube where watching a video of the "supposedly drones" that shut down Gatwick airport when a person saw this Silver UFO at 32 seconds in to the video. 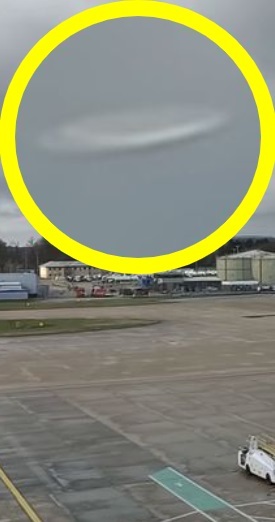 When this person spotted the Silver UFO on YouTube, in the UFO video from over Gatwick airport (filmed by a Gatwick airport worker by the way) imagine what their response was? Has this drone incident been a cover up from the start? I can only imagine that their response was "OMG what the hell is that right there" because it would be my own immediate opinion and yeah I'd probably blurt out oh my God! This is a weird and strange anomaly because nobody "and I mean nobody" has produced any security camera video footage of drones at Gatwick airport on the 20th December 2018 and there's no images at all of the so-called drones. Seriously, is that even being believed by the public because I don't believe it at all? I am confused because this is Gatwick airport and it's heavily monitored, plus it's got a heavy presence of workers, a heavy CCTV camera presence as a deterrence probably and plus for quality control and the security cameras are probably recording all the time, right? So basically, what your telling me is that there's "absolutely no video footage at all of these so-called drones" over the UK's second most busiest airport! 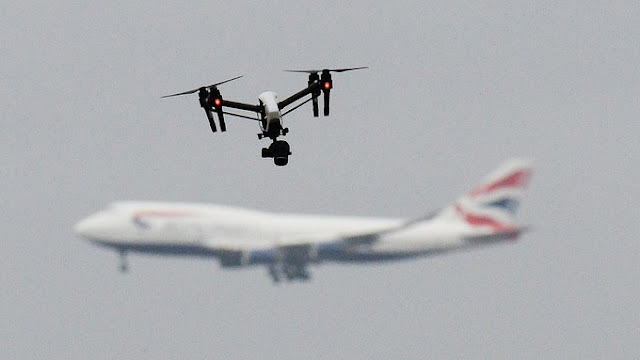 The drones that the police did find near the property of Gatwick airport have been "ruled out" of the investigation. That post can be found here on ITV News. In my own mind this whole event stinks of a cover up. It's a leading UK airport and the security is insanely good but yet they can't produce anything as way of evidence or proof to say that it really was drones hovering, flying or buzzing over the airport? I don't buy that information or answers given - just like I don't buy clown shoes or that "I won a lottery which I didn't even enter"! But what I do buy is a video of Gatwick airport which was videoed by someone accidentally filming a UFO in a video he was doing of Gatwick airport. Happy accidents is what scientists call it when someone discovers something good or great even, but quite by accident. Also check out this post on the Mirror website about this and what some people are thinking it really is? 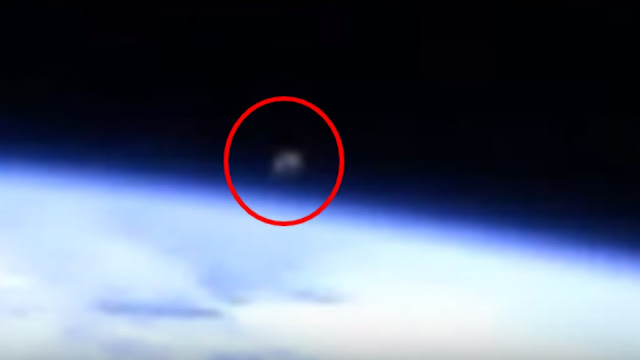 Two UFOs that look nothing like what NASA sends up to space for the International Space Station, are right next door to the ISS and it looks like they're either communicating, sharing something out of view or just linking up together? But guys, these 2 UFOs are definitely weird because we can't identify them, so that makes these UFOs. So, two UFOs at the ISS interacting with one another is probably one of the strangest things to ever have taken place outside of the ISS and I'm talking within a stone's throwing distance. NASA always turns off the live feed on the ISS but maybe even they was captivated by what was unfolding right outside the ISS? 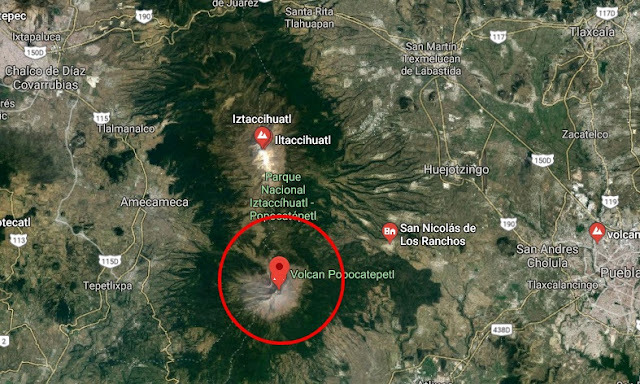 The theory is simple, UFOs are operating in this part of space and new UFOs keep turning up and that's why this NASA live feed wasn't shut down or turned off because like I say, these are new and NASA is documenting it? 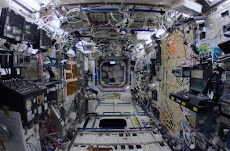 But also, if you believe that there's two feeds at the ISS then the people at NASA could of still turned off the public's live feed but still keep recording in real time the UFOs caught interacting in space near the ISS. 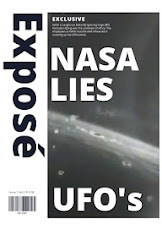 It's also an International Space Station cover up because nobody from any of the institutions have come forward on UFO disclosure and guys, don't hold your breath on this subject. 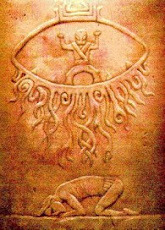 It is what it is, we have to decipher the puzzles ourselves and rely on our own gut instincts for our answers plus the best intelligent guess has always been our own on Ufology. 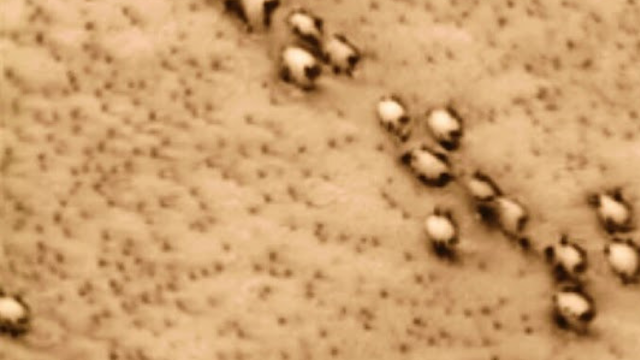 Personally I believe that this is something otherworldly because of the obvious "nothing to do with NASA" of these UFOs which means that these are more than likely Alien in origin, until we learn otherwise. Source IBT international Business Times.